With all God's grace and blessing i am here to live and fast in the holy month of Ramadan. Ramadan has very prestigious significance in Islam. Many of us don’t know why Muslim’s fast and why on this particular month? What exactly is the time period and what they can eat after opening fast? Well without taking lot of time i will just brief what Ramadan is all about. Fasting is one of the pillars on which Islam stands other than doing 5 times prayer, believing on one god and his messenger (PBUH), Zakat which is charity, and doing Hajj. During fast Muslims refrain from eating, drinking, smoking, and indulging in anything that is in excess or ill-natured. The time starts from the dawn to the dusk. 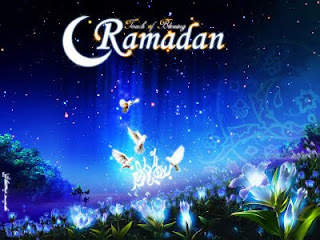 Ramadan seems to be the holy month because the first verse of Quran had been send to the prophet (PBUH). This is ninth month of Arabic calendar. Every year as per the solar calendar the Ramadan moves 10 days back. In this month Muslim pray a lot and ask for forgiveness from God. It is told that if you’re fast has been accepted all your past sins shall be forgiven. Fasting means nothing but to purify yourself from all bad habits. Suppose I did a fast during day and at the same time I am doing all nonsense activity my fast will not be accepted by god. During this month we need to do lot of prayer and recitation of Quran along with our regular activities. After opening our fast we can eat anything which is said halal in Islam. During this month the heaven gates are open and hell gates are closed. So whoever passed away will be moved to heaven directly. After fifth time Namaz that is Isha we recite Quran by the means of Tarawih which is also a kind of prayer in which complete Quran gets recite in one month. In this month we have to make charity which is called Zakat. It is 2.5% of savings a Muslim does. This is also one of the mandatory activity and pillar of Islam. Once Ramadan gets finish we celebrate Id-ul-fitr which is the biggest festival in Islamic believes. Hope this may have given you a little idea about Islam.